These hotel style rooms are conveniently located right at the beach offering an excellent view of the lake, steps from the waterfront activities and just a 10 minute walk to the Pavilion. Each guest room sports a fresh look with clean modern lines combined with soothing earth tones and a mix of naturally inspired textures that echo the surrounding Muskoka landscape. 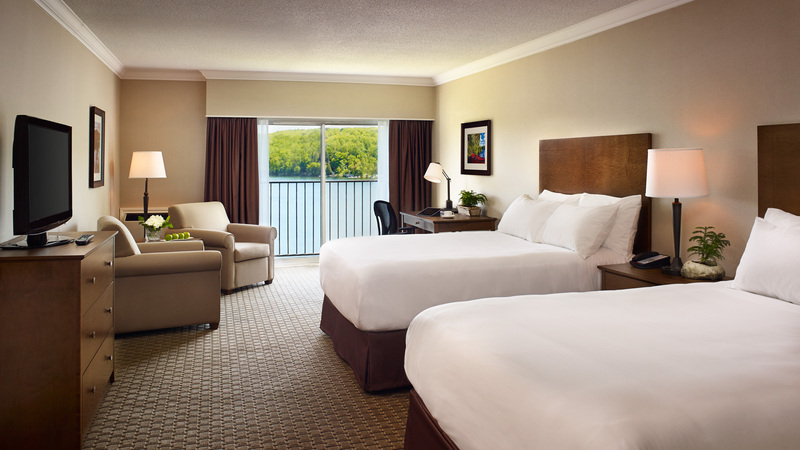 Relax in comfort with two queen beds, a sitting area, work desk, mini desktop fridge and one brilliant view of the lake, which is just steps from your room.